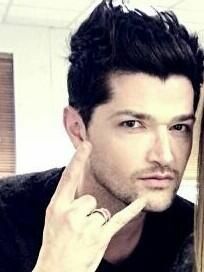 Danny O’Donoghue is an Irish singer-songwriter best known as the frontman of the popular Irish rock band, ‘The Script’ alongside singer and guitarist Mark Sheehan and drummer Glen Power. He served as a coach on the British talent show, The Voice UK. He also wrote songs for popular artists such as Boyz II Men and Britney Spears. The youngest of six children, Danny was born Daniel John Mark Luke O’Donoghue on October 3, 1980 in Dublin, Ireland, and was raised in Ballinteer, Dublin. He was born to Shay O’Donoghue, a member of the band The Dreams, and Ailish O’Donoghue. He dated model Irma Mali for four years before they split in 2013. *He was born on October 3, 1980 in Dublin, Ireland. *He is the youngest child in his family. *His dad, Shay O’Donoghue, died of stomach aneurysm at the age of 63, on 14 February 2008. *He wrote the single, If You Could See Me Now, in memory of his late father. *He also has a rose tattoo dedicated to the memory of his father on his left arm. *He owns a music production company called MadNotesProductions with Mark Sheehan.